Android 8.0 Oreo was recently launched and is currently been rolled out to users. The latest version which features includes Background limits, Picture-in-Picture (PIP), Snoozing individual notification, Autofill framework, Wide-gamut color for apps, Font resources in XML, Adaptive icons, Companion device pairing, Keyboard navigation, AAudio API for Pro Audio, WebView enhancements and many more comes with great Advantages which you can check here. 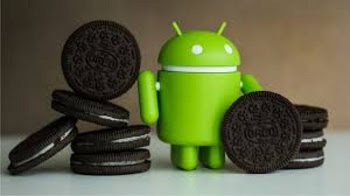 This was first rolled out to Google's own Pixel and Nexus device and the company have been working closely with various brand on upgrading new/existing devices to the latest Android 8.0 Oreo by the end of this year. Below are some of the brand that will get Android 8.0 Oreo update sooner. If your device is not listed below, you can read How To Upgrade Your Device To Android 8 Oreo. The post contains detail steps on how you can can get Android 8 Oreo on your device.